The Vic Johnston Community Centre has been the centre-point for hockey, skating, community events and meetings in Streetsville for five decades. Recently renovated to become a state-of-the-art facility, the VJCC is home to the Streetsville Hockey League and the Streetsville Tigers. In the late 1950’s, Vic Johnston would get up in the middle of the night and leave his Main Street home (where Murphy’s Ice Cream Parlour now stands) to flood the lacrosse box so the neighbourhood children would have a place to play hockey. 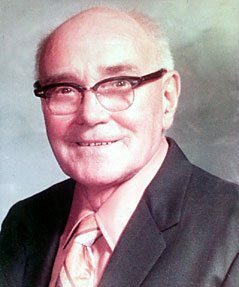 Few suspected then that this community-minded man would be one of the founding spirits of the Streetsville and District Arena. Described as a strong-minded character by those who knew him, Vic was a retired machinist and chairman of the local hydro board in Streetsville. Although Vic and his wife Vera had no children, the Johnstons were involved in activities for youth and community in general. For example, Vic, without fanfare, would often clean and care for the town’s baseball diamond. The community realized in 1958 a hockey arena was needed in town because their children had to travel to Brampton to play. Vic along with Bill Arch Sr. and Len Lee established a steering committee within the town council with a dream to construct a community centre to serve the people of Streetsville. The committee canvassed the town door to door for the $179,500.00 needed to cover the building costs. This was done during a time when many jobs were lost to the local aircraft industry cancelling the Avro Arrow, the collection fell short. There was not enough collateral to satisfy the local bank so the first board of directors, including Vic, guaranteed the mortgage. The town’s dream of building an arena became a reality three short years later in 1961 with the official opening of the Streetsville and District Community Centre Inc. The enormous mortgage was retired only two years later in 1963. During the first year a total of 16 teams played out of the arena under the banner of the Streetsville and District Minor Hockey Association. Artificial ice was not established in the arena until the second year of operation. The first year was played on natural ice surface which was constantly dependent on the outside weather. On June 25th, 1973 a testimonial dinner was given in honour of the late Vic Johnston and the Streetsville & District Community Centre was renamed the Vic Johnston Community Centre. Residents of Streetsville take pride that no government money was used to originally build or operate the arena on an ongoing basis. The City of Mississauga is a great partner of The Vic, and has made significant capital contributions during the $600,000.00 replacement of the arena floor and ice plant in the mid 90’s and in funding the $8 Million major renovation in 2008 that will ensure the facility can serve the residents of Mississauga for many years to come. The Vic Johnston Community Centre stands as one of the few independently not for profit operate arenas in southern Ontario.